I can’t say it was ever especially good. It was, I suppose, adequate, but just barely. 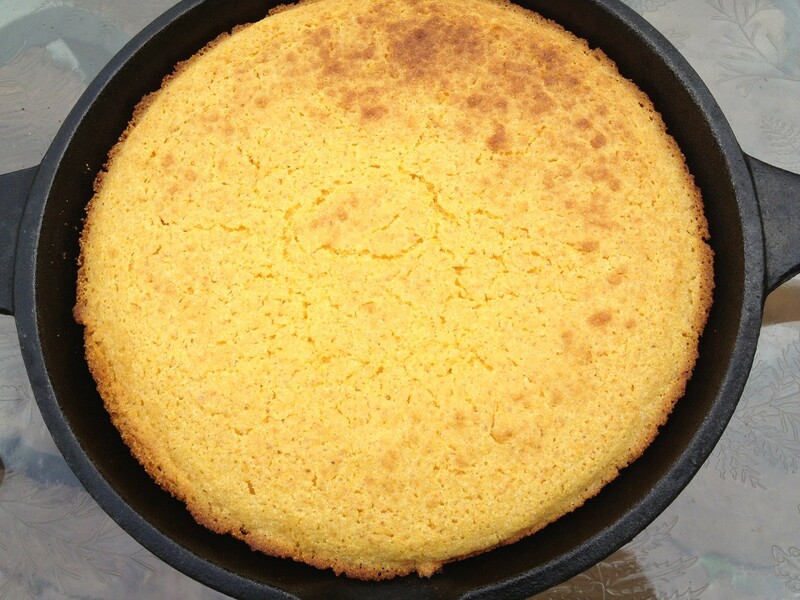 Recently my friend, Southern Dawn of Georgia, shared her famous cornbread recipe, and two key words caught my eye: bacon drippings and cast iron skillet. If there’s anything I love more than bacon, it’s my cast iron skillet. I decided maybe it was time to break out of my comfort zone today and make cornbread the authentic southern way. How can this not be awesome? I felt like Paula Deen, before she turned all skinny and self righteous. Place 2 slices of bacon in the bottom of your pan (cast iron skillet) and put in oven at 450 degrees. Sift dry ingredients together. Beat egg and buttermilk until mixed. Combine with dry ingredients and stir until well mixed. Take pan out of oven and remove bacon, pour batter into pan and cook for about 20 minutes. You can broil it for a few seconds to brown the top. This entry was posted in Side Dish and tagged corn bread, cornbread with bacon drippings, southern style cornbread by Mom Mom's Apron. Bookmark the permalink.